This is one of the more simple soups I make for work. The ingredients can be found in the ‘ethnic’ section of your supermarket, online, or in your local specialty market. 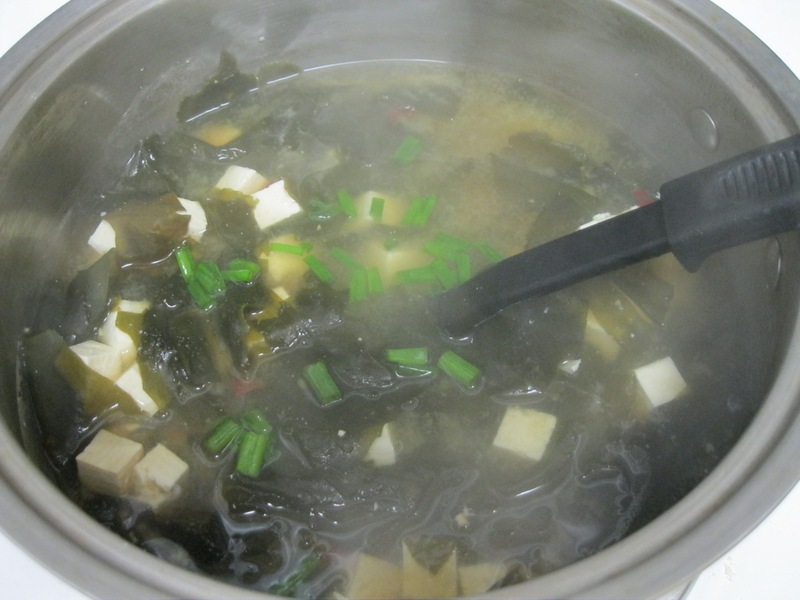 Miso paste, tofu, and seaweed are my requisites. I add scallions, chives, garlic, and/or carrots when I have them but they’re not really necessary. I combine 1 liter of water and 1.5 tablespoon of miso paste. I heat it until the paste is dissolved. I add one and a half handfuls of dried seaweed and half a block of Chinese-style water packed tofu, diced into 1/3 inch cubes. If you can’t find dried seaweed, spinach works well too. I’ll add a tablespoon of minced garlic, 1-2 shredded carrots, 1/4 cup of diced scallions or chives if I want. I’ll add up to another 5oo mL of water and salt to taste. I also like to mince some dried red peppers for spice. I like spicy food. Mine wound up looking more like a miso stew, but it was still dynamite. 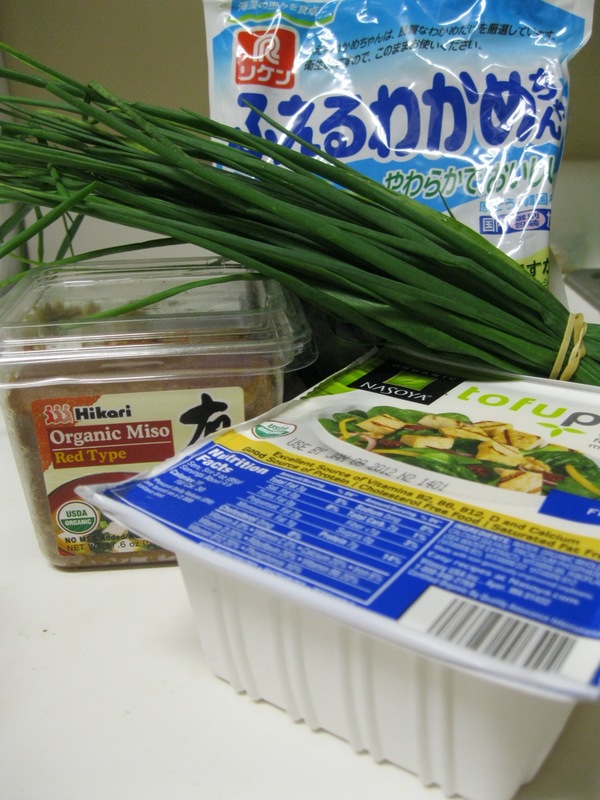 Awesome recipe if you have easy access to miso paste.